luminum Castings – Fan and Impeller Blades offered comprise precision designed aluminium die casting that are developed using superior grade aluminum finish. These fan and impeller blades are produced using graded aluminum metal and can be made available in different molded finish options as demanded by the customers. Here, our team of experienced professionals also ensures highly ductile products are made available in the market that find application in different industry sectors including automobile industry. 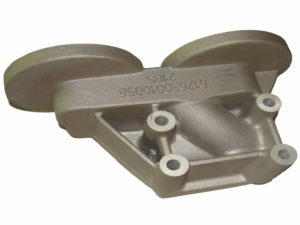 Some of the casted finishes these can be offered in include Gravity Die Casting, Sand Casting and others.